Kwon Dami shows her support for G-Dragon! Recently, a marijuana specialist answered some questions surrounding G-Dragon‘s mysterious drug case. On October 8th, KBS 2TV‘s ‘Entertainment Weekly‘ featured a thorough investigation of the idol’s recent marijuana controversy. As many of you already know, it was reported that G-Dragon admitted to smoking marijuana in Japan back in May. In July, a drug test of his hair came out positive for the presence of the drug. Considering that it was the idol’s first offense, and only a tiny amount of the drug was detected, the prosecution decided to “suspend indictment“. The Seoul Central District Prosecutor Office explained, “Taking into account that G-Dragon is a college student and a first-time offender, we decided not to indict him.” The prosecutor acknowledges G-Dragon’s criminal charges, but will not bring him to court for a trial due to many factors such as: age, criminal motive, and remorse. Netizens have also been speculating that there was an ulterior motive behind G-Dragon’s shaved haircut. However, YG entertainment asserted that there is nothing to it, particularly since he cut his hair long after the testing. Netizens have had mixed reactions such as, “I don’t know what’s going on, but it is true that G-Dragon did wrong. 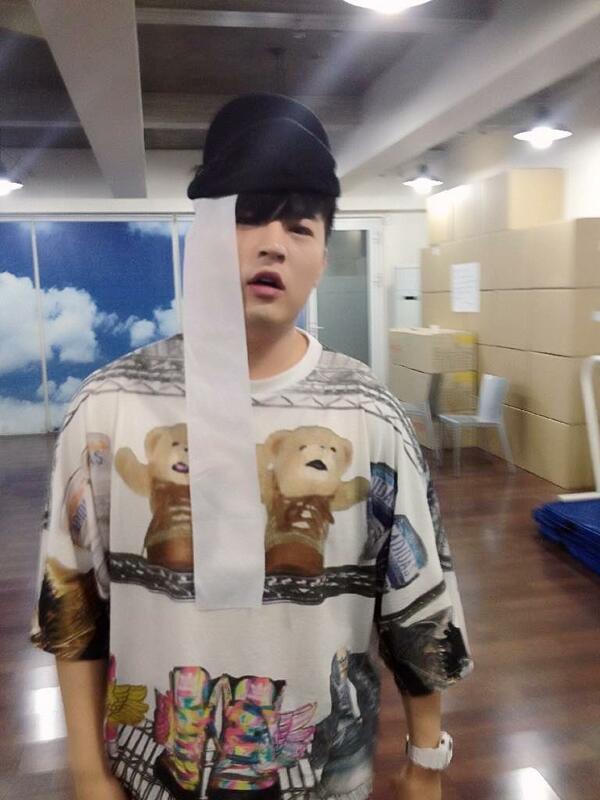 He should formally apologize and self-reflect on his actions“, “I was really anticipating his comeback. He should make a formal apology for his reputation“, and “Yes, it does seem strange that the hair drug test came out positive if he only took a few puffs“. Advertiser's reaction towards G-Dragon's case & their decisions! G Dragon is currently endorsing 10 or so brands in Korea such as Beanpole, North Face, G Market, Sunny10, CJ Group, Nikon, LG phones and more. However due to the controversy over the marijuana case earlier this week, fans are left to worry on how these brands would react and if they will be terminating the endorsement contract with him or not. After the official statement released by YG Entertainment, majority of these companies have expressed that there wouldn't be any changes and G Dragon would still be endorsing their products as main models, as an individual as well as a part of BIGBANG. Beanpole: "We have based on different seasons in choosing the suitable fashion module. For our upcoming season, We would still be using G-Dragon as our model. Ever since getting G-Dragon to endorse our brand, our sales has increased by 30%. Being a hallyu star and one of the hot K-pop idol around the world, and also taking into consideration that he has reflected and own up for his mistakes, hence we would consider this matter upon different angles." His current contract with Beanpole last for 10 months and as a solo model, this endorsement contract with Beanpole earns him $10 billion. This amount is said to be rarely seen in the history of idols. Sunny10: "According to our understanding, the contract has stated that suspension of indictment cannot be one of the reasons to terminate the model's contract. 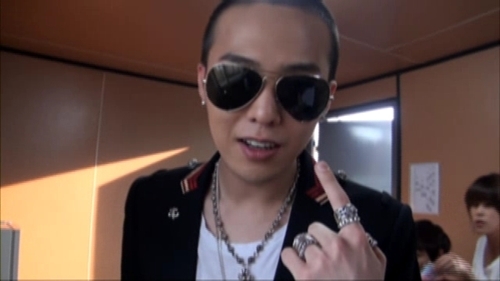 Before the contract comes into full term, (GD) would be required to continue endorsement activities with us. 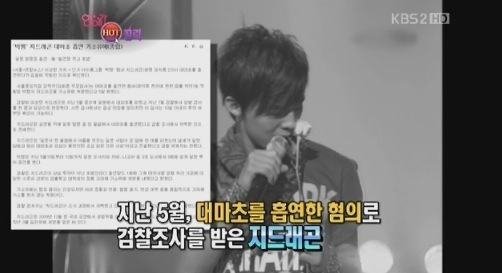 Along with BIGBANG, their contract is due June next year (2012)." 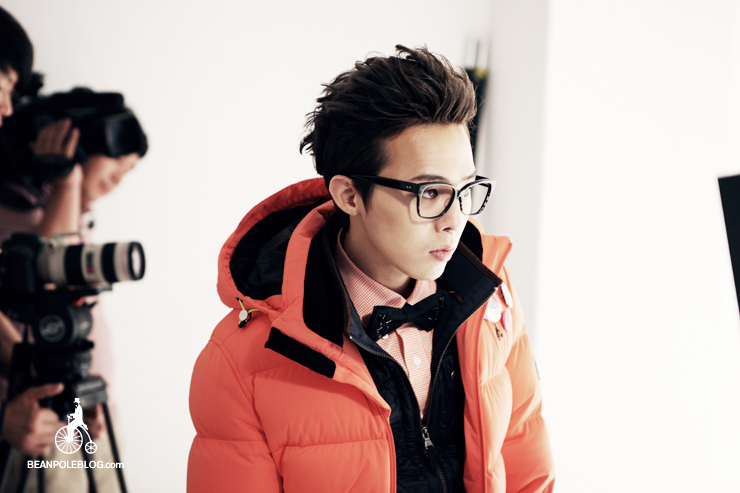 North Face: "In our case, we've contracted BIGBANG as our endorsement model and not G Dragon as an individual. Hence there wouldn't be much problems. Within the contract period, we would not cut out G-Dragon parts in our related advertisement just because of what has happened. After getting BIGBANG to endorse our products, the outfits that BIGBANG has worn in our commercials and advertisements were sold out in a short time in all of our shops country wide." GMarket: "We will look at how the matter goes." However G-Dragon, being one of the "core" of GMarket, it is said there basically there wouldn't be a problem with his endorsement with them too. Since 2009, VIP members (gd-supporters.com) have expressed their love for G-dragon by donating every month out of never ending sincerity. They have helped not only Jiyong but a little girl that suffers from Chronic Renal Failure and a male patient suffering from Osteogenesis Imperfecta. After this warm news passed on to G-dragon, he also chose “donating” as his love for his fans. On September 5th, 2 people with the same name met each other: 4yrs old Kwon Jiyong and 24yrs old Kwon Jiyong. A healthy looking Jiyong that had reduced his medicine dosage by 1/3, greeted his hyung with the exact same name as him. Even though they were a bit shy because they were unfamiliar with each other but after playing with the toys that G-dragon had personally prepared, they automatically became closer. After hearing that Jiyong needs to regulate his blood glucose levels every 4 hrs, the pain he suffers from taking in food and that he still needs a lot of medical treatment, G-dragon looked distressed. He stayed with Jiyong and his family for a long time to give them endless support and encouragement. Q: Is it possible to get a positive result from smoking a couple of puffs of marijuana? Officer: It's difficult to say because only a trace amount of marijuana remains on the hair. It's hard to say if it will show after smoking once or not. Q: Does this mean that a trace (amount) can be found even after only smoking just once? Officer: It's possible depending on the situation. There is no specific period on how long the components remain on the hair. For hair that is 3cm long, the trace can remain up to 3 months as long as it's not cut off. In the article posted previously, the former director of the Korean Police Narcotics Bureau said that it's rare to get a positive hair test result after smoking only a couple of puffs. According to this most recent interview, it is possible. G-Dragon’s marijuana incident is currently heating up Japanese public opinion. Celebrities, socialites, and legal specialists are criticizing G-Dragon’s weak explanation. In a nutshell, they are arguing that “I didn’t know” and “I received marijuana” is too senseless or lacks common sense. They disagree with the fact that only two puffs of marijuana will give you a positive result on a drug hair test. Finally they are also criticizing the fact that all the responsibility was given to a Japanese individual, and questioning whether G-Dragon is really showing any remorse for the incident or not. 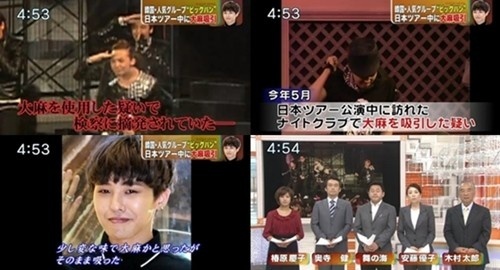 The Japanese media followed G-Dragon’s marijuana incident closely. 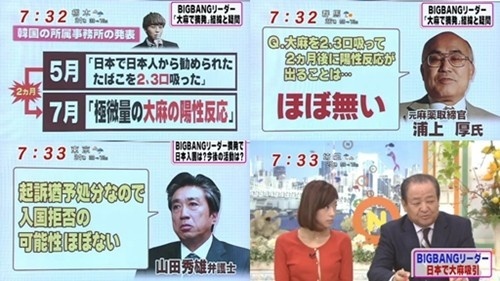 On “Nihon TV” they criticized G-Dragon’s explanation, “If you hold marijuana it is very different from cigarettes, how could somebody not tell the difference?” On “Fuji TV” the criticism was about the fact that marijuana smoke smells very different from cigarette smoke and is quite strong. The criticism about the drug hair test is that two or three puffs of marijuana two months ago should not appear on a drug hair test. They've decided to change the album's jacket/cover because they get a lot of defective products (more cost for them) when producing the original one. Korean indie band Toxic, the winner of KBS reality show "Top Band" has confessed their admiration for Bigbang's G-Dragon, especially regarding his touching lyrics in Heartbreaker. SANULRIM, 10CM, they all have great sense in writing lyrics"
"We like Kwon Jiyong, but signing for YGE is another story "
Source: Sports Donga Via Soompi . ViViD's Ko-ki talks about G-Dragon! Ko-ki (Vivid) wrote about G-Dragon on his personal blog. Ko-ki, member of Japanese visual kei rock band Vivid (stylized as ViViD) while talking about fashion cited G-Dragon on his blog. Their upcoming third single "FAKE" will be release on November 9th. 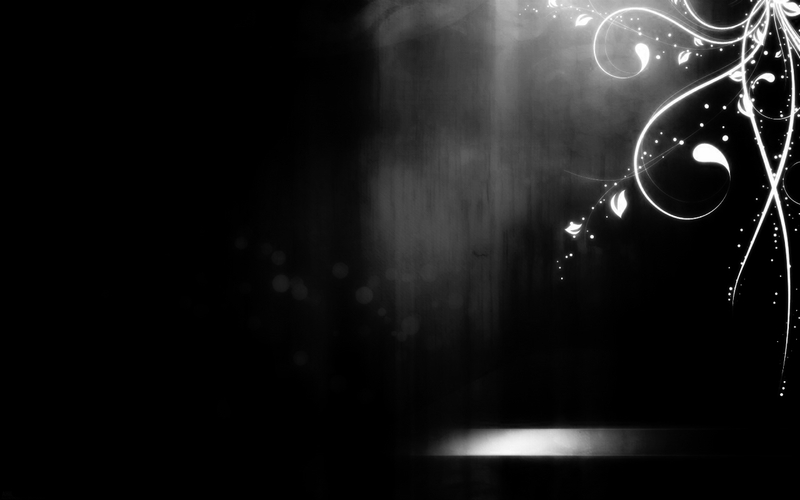 “After all I only like thing which form has good, being different from a person. It is an artist for a fashion. I like G-Dragon from BIGBANG. And 2NE1!”. At a press conference for new tvN Kdrama ‘Pretty Boys’ Ramen Shop‘, actor Jung Il Woo began to talk about his beloved Shar Pei, Ah Woo with his fans who were present at the event. “My dog who was given to me as a birthday gift from my fans last year now weighs nearly 40 pounds, and won’t listen to anything I say,” he said. “When I was filming ‘49 Days‘, G-Dragon who also has a Shar Pei called me and asked if I was interested in letting our dogs meet“, he revealed. In his new drama ‘Pretty Boys’ Ramen Shop’, Jung Il Woo plays the role of a handsome high school student, Cha Chi Soo, who develops a romance with the athletic Yang Eun Bi, the daughter of the Ramen Shop. The drama is a feel-good romantic comedy and will begin airing on the 31st at 11PM KST. Top Japanese celebrity Amuro Namie (age 34) is being accused to plagiarizing a song by Big Bang's leader G-Dragon (age 23). According to Japanese media sources on November 9th, "There are suspicions of Amuro Namie's new song "Sit! Stay! Wait! Down! ", set for a December 7th release, having been plagiarized off of G-Dragon's "Heartbreaker" song. 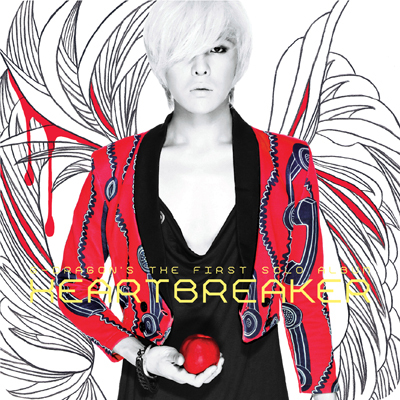 Two years ago, G-Dragon's "Heartbreaker" was also accused of plagiarizing a song by US hip hop artist Florida." This isn't the first time Namie faces such charges. She had a similar case pop up over her song "Black Diamond", when it was linked with being familiar to Janet Jackson's "Feedback". Critical netizens have been taking to the net: "Another one copied? ", "The melodies are almost identical", "We're both Japanese, but I can't deny and protect her", "Why copy k-pop out of all things?". On the other end, some are supporting the singer: "Totally different", "A bit of a stretch to say it's plagiarized". Namie's reps have yet to release an official statement. 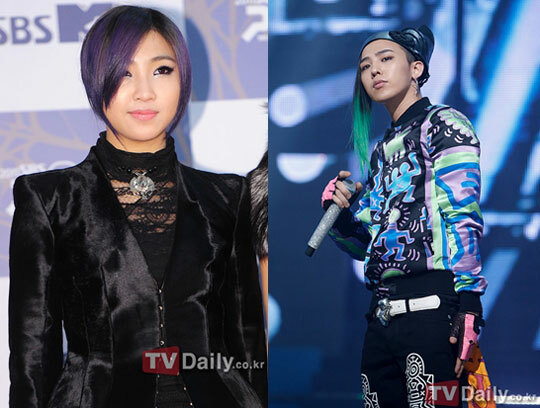 2NE1‘s maknae, Minzy shared a story about a time when G-Dragon gave her a back hug. Upon hearing her share the incident, G-Dragon reenacted the scene and stated, “It’s a habit of mine,” causing the studio to burst into laughter. Meanwhile, other guests that appeared on the ‘YG Family Special’ included Big Bang, 2NE1, Se7en, Tablo, Psy, Gummy, and Sean. Then she said “After that statement I made on broadcast, G-Dragon approached me and told me ‘You should’ve confessed that to me in person, why did you have to say that on broadcast?’” Dara also said “He was then teasing me”. 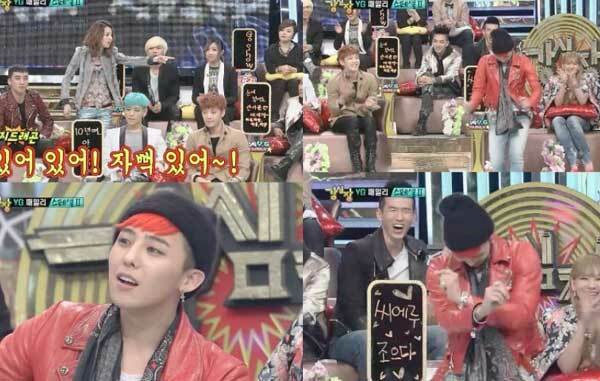 G-Dragon jokingly stated “It’s my habit” which evoked laughter. There is much interest in the topic of Big Bang's G-Dragon looking like Girl's Day's Minah. This photo came up recently on an online community as "G-Dragon's Little Sister." 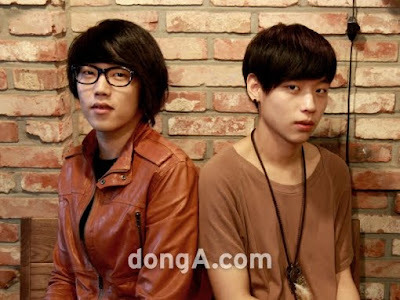 Netizens have commented how their lack of double eyelids is similar, and especially the way their eyes tilt when smiling, as well as how their mouths both go up, making them look like twins. People have noticed that this resemblance is not just current, but also seen in their past photos. 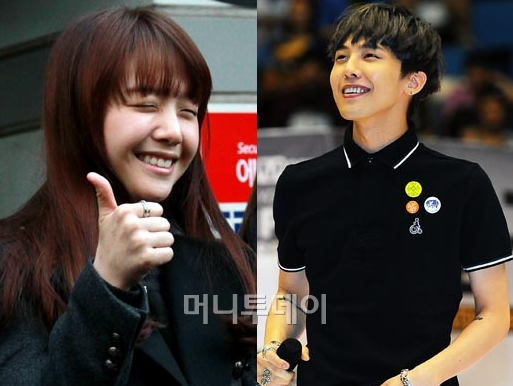 Netizens have commented "Girl's Day's Minah is so cute," "Minah who looks exactly like GD," "They look like siblings."